Mr. Dingess’ practice is concentrated in the areas of construction and engineering, general commercial and international law. For more than 30 years, he has been involved with dispute resolution and contract negotiation and drafting. 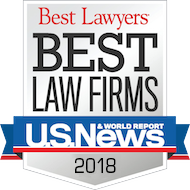 Prior to forming DFL Legal, Mr. Dingess founded and served as the global practice leader of the construction and engineering practice group of a major international law firm with approximately 1,800 lawyers and 36 offices around the world. He has acted as lead counsel in numerous federal and state court trials throughout the United States as well as domestic (AAA) and international (ICC, UNCITRAL, ICDR and AAA) arbitrations. He has extensive experience negotiating and drafting complex engineering, procurement and construction (EPC) contracts and with domestic and international project financed transactions. Mr. Dingess has acted as lead counsel on infrastructure and oil & gas mega-projects each having a value of several billion dollars. He has been involved with several multi-million dollar industrial turnkey projects, including oil & gas, iron & steel, chemical, pulp & paper and power generation facilities. With respect to electric generation, he has been involved with numerous projects aggregating approximately 10,000 megawatts. 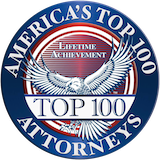 Listed in: The Best Lawyers in America (Bet-the-Company Litigation, Commercial Litigation and Construction Law); Top Rated Lawyers (Martindale-Hubbell AV Preeminent Peer Review Rating; highest rating for legal ability and ethical standards for 10 plus years); Pennsylvania Super Lawyers; Best Lawyers in Pittsburgh & The International Who's Who of Construction & Business Lawyers. Lead counsel for supplier of a super-critical steam generator for a coal-fired electric generation facility with a value of approximately $2 billion. Represent supplier in dispute with EPC contractor with respect to alleged delays, liquidated damage claims, guaranteed quantity overruns, changes, and back-charges. Lead counsel for consortium member of EPC contractor on a super-critical coal-fired electric generation facility with a value of approximately $2 billion. Lead counsel for a multinational engineering and construction company regarding an offshore oil & gas project dispute with respect to subsea flow line issues. The dispute is pending and subject to ad hoc arbitration under the UNCITRAL Arbitration Rules (1976) before a three member international arbitration panel. Lead counsel for a multinational engineering and construction company regarding an onshore gas-to-liquids project located in Africa with an original value of approximately $1.7 billion value. Assisted the client in obtaining a change order in the amount of approximately $250 million. Thereafter, assisted the client in converting the contract from a lump sum pricing structure to a cost reimbursable structure. Lead counsel for one of the world’s largest construction companies for the negotiation of the first natural gas pipeline project located in the Commonwealth of Puerto Rico. This is the first of several planned pipeline projects intended to diversify the fuel supply to the island’s electric generating facilities. This matter included negotiating the terms and conditions of a turnkey engineering, procurement, construction and finance (EPCF) contract with the Puerto Rico Electric Power Authority. Responsibilities included advising on the initial tender, including the submission of qualifications to the form of the contract included with the tender package, and negotiating the EPCF contract and all ancillary agreements (including letters of credit, scope of work, and payment security) over a period of approximately four months. Additional responsibilities included hiring and coordinating local counsel on all local law questions, including real estate and sales taxes, rights of way, governmental authority, environmental matters, engineering licensing law and procurement matters. Lead counsel for one of the world's largest multinational engineering and construction companies with respect to over $1 billion in total claims on a single mega-project. The dispute centered on one of the world's largest offshore oil and gas projects with an initial contract price of over $2.5 billion. The adversary was the national oil company of a South American country. 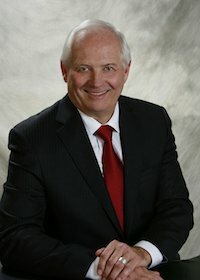 Mr. Dingess was responsible for all aspects of dispute resolution, including the supervision of a team of over 50 attorneys, professionals, experts and paraprofessionals. The engagement spanned a period of several years and required extensive worldwide travel, including travel to South America, Europe and Asia. While all disputes were subject to ultimate resolution under the UNCITRAL Arbitration Rules (1976), all disputes were resolved through a series of settlements without the necessity of formal arbitration proceedings. The disputes involved issues concerning engineering and construction changes and delays, claims of cardinal change, liquidated damages for delay, schedule analysis and claims of time and money entitlement, international letters of credit, value added tax (VAT) claims, force majeure claims and project finance issues in connection with a worldwide syndicate of commercial and national banks. Lead counsel for the Commonwealth of Massachusetts, through its agency the Massachusetts Turnpike Authority (MTA), for a period of approximately seven years concerning a series of disputes on the $14.6 billion "Big Dig" project in Boston, Massachusetts. This was the largest infrastructure project in the history of the United States. The largest dispute concerned a 70,000 gallon per minute leak that occurred at the West End of the immersed tube tunnel construction under the Fort Point Channel. This represented one of more than $100 million of claims in dispute. Mr. Dingess, assisted by a team of attorneys, supervised all aspects of dispute resolution, including the retention of appropriately qualified experts and other professionals to conduct a forensic investigation into the cause of the leak. Following unsuccessful negotiations, the disputes were submitted to a formal mediation before two sitting judges from the Armed Services Board of Contract Appeals. The mediation process resulted in a global settlement agreement concerning all disputes on the Fort Point Channel segment of the Big Dig. The second largest dispute concerned a claim regarding excavation in front of the Federal Reserve Bank of Boston. The contractor presented a claim of nearly $30 million regarding alleged interference with its means and methods of planned excavation. The dispute was submitted to a Dispute Review Board which entered a complete defense decision on behalf of the Commonwealth. On July 10, 2006, a section of the ceiling tile system in one of the tunnels collapsed resulting in the tragic death of a passenger in a vehicle traveling through the tunnel. This resulted in a six month closure of the entire project and a complete investigation of the incident by federal and state authorities. Mr. Dingess and a team of attorneys and experts represented the MTA in multiple criminal and civil actions commenced as a result of the accident. A team of attorneys, under the overall supervision of Mr. Dingess, also provided counseling to the MTA in the general areas of dispute resolution, contractor insolvency, surety law, warranties, contract close-outs, acceleration and inefficiencies, contract amendments, public contracting statutes, joint defense and tolling agreements, and schedule analysis and time and money entitlement. Lead counsel for respondent and counterclaimant in Trans Carolina Products, LLC v. BE&K Construction Company, LLC (AAA Case No. 31-421-Y-00316-09) and related court proceedings in the General Court of Justice, Superior Court Division (Mecklenburg, North Carolina, Civil Action No. 2012-CVS-270). Mr. Dingess represented the EPC contractor in connection with a turnkey chemical project. In its demand, the owner sought damages in excess of $20 million and the EPC contractor counterclaimed for the balance of the contract price of approximately $500,000. The owner's claims related to plant performance (raw material consumption and capacity), diminution-in-value, liquidated damages for delay and multiple warranty claims. The case was highly complex and technical since it revolved around a chemical facility and the interaction within that facility of various chemicals, materials, temperatures, pressures and processes, including electrochemical process of electrolysis. After 20 hearing days, the owner received a net award of $770,163, which approximated the amount that the EPC contractor acknowledged it owed to the owner. Lead counsel for defendants in Triad Electric & Controls, Inc. v. Power Systems Engineering, Inc., et al., 177 F.3d 180 (5th Cir. 1997). This case involved the Cogen Lyondell Cogeneration Facility located in Channelview, Texas. At the time of its construction during the mid-1980's, this 500-megawatt facility was the largest cogeneration project in the United States. The facility included 5 GE Frame 7 E CTGs, 1 GE 138 MW STG and 5 Vogt HRSGs. Mr. Dingess represented the general contractor, Century Contractors West Inc. After structuring a settlement and joint defense agreement with the owner, Mr. Dingess defended against the claims of the project's electrical contractor in a 2-phase bench trial lasting approximately 2 months in the USDC for the Southern District of Texas, Houston Division. On its claims of more than $4.0 million, the electrical contractor received a take nothing verdict. On its counterclaims, Century received a judgment in excess of $1.0 million in compensatory damages and $3.0 in punitive damages. On appeal, the contract aspect of the case was affirmed and the fraud aspect was remanded for further proceedings. The case then settled favorably. Lead counsel for claimant in Comstock Engineering, Inc., and Clecim, Inc., Joint Venture v. Selas, Inc. (AAA Case No. 55-T110-0180) and related proceedings in The Travelers Indemnity Company. et al. v. Comstock Engineering, Inc., et al. (CA 94-0966) in the USDC for the Western District of Pennsylvania. The underlying arbitration proceeding was governed by the AAA's international rules and involved a $200 million continuous annealing line designed and built for LTV Steel in Cleveland, Ohio. Mr. Dingess represented the turnkey contractor first in closing out the project with the owner and then against the French engineering subcontractor on claims of professional negligence. Despite a limitation of liability clause in the contract limiting the engineer's liability to FF 3.0 million, the claimant received a gross award of US $6.0 million. The award was paid promptly following the institution of enforcement proceedings under Chapter 2 of the Federal Arbitration Act. Lead counsel for plaintiff in McNally Wellman Company v. New York State Electric & Gas, 63 F.3d 1188 (2d Cir. 1995), which is a leading New York precedent regarding the enforceability of consequential damage disclaimers under the UCC. Mr. Dingess represented the supplier of six dam crest gates in its claim of nonpayment against the owner and defended against the owner's claim for consequential damages in the amount of approximately $1.0 million. As a result of a summary judgment motion, the trial court entered judgment for the supplier of approximately $700,000, including prejudgment interest, and against the owner on all of its counterclaims. The trial court's judgment was affirmed in its entirety on appeal. Lead counsel for respondent in J.A. Valenti Electric Company v. Mellon Stuart Company (AAA Case No. 19-110-0207-88) and related lien proceedings at J.A. Valenti Electric Company v. Somers Associates, et al. (Index No. 0625/89) in the Supreme Court of New York, County of Westchester. Mr. Dingess represented the general contractor, Mellon Stuart Company, in connection with a $200 million office complex built for IBM in Somers, New York. After negotiating a settlement agreement with the owner, Mr. Dingess defended against the electrical subcontractor's claims in excess of $6.2 million for wrongful termination. After over 50 days of hearings, the electrical subcontractor received a take nothing award and Mellon Stuart received an award of $1.5 million which was paid promptly. Lead counsel for claimant in a series of arbitrations and related court proceedings styled Century Contractors West Inc. v. Hawker Siddeley Power Engineering Inc. (AAA Case Nos. 70-110-0005-90, 70-110-0055-90, 70-110-0093-90, 70-110-009490; CA 90-051738 in the District Court of Harris County, Texas) relating to the Tenaska III, Inc. cogeneration facility located in Paris, Texas. This 250 megawatt facility included 2 GE Frame 7 EA CTGs, 1 GE 90 MW STG and 2 Deltak HRSGs. The disputes related to underground conditions, bonus payments, retainage, extra work, contaminated turbine lube oil system and related matters. Mr. Dingess represented the construction subcontractor against the turnkey EPC Contractor. After obtaining 2 awards and a court injunction requiring the contractor to post a bond in the amount of the subcontractor's total claims, the contractor paid $5.4 million to Century. All claims were prosecuted and payments received in less than 18 months. Lead counsel for plaintiff in Trafalgar House Construction, Inc. v. The County of Allegheny et al., (Case No. 96-164) in the USDC for the Western District of Pennsylvania relating to the construction of the New Allegheny County Jail project. Mr. Dingess represented the general contractor Trafalgar House which had a $50 million prime contract as part of this $150 million project. The action included RICO, breach of contract, trade libel, unjust enrichment, fraud and negligence claims. Following a three day long voluntary mediation involving all of the parties and their multiple insurers, the case settled with a payment of $5.85 million. Lead counsel for plaintiff in C.N. Flagg & Co., Incorporated v. Siemens Westinghouse Power Corporation, et al., (Case No. 97-617) in the USDC for the District of Minnesota. Mr. Dingess represented the construction contractor against the EPC contractor on this 250-megawatt cogeneration project located in Cottage Grove, Minnesota. This case related to nonpayment of the construction contractor following a termination for convenience. The plaintiff asserted claims of $6.0 million and the defendants asserted counterclaims of $2.0 million. The dispute centered on the pricing formula contained in the guaranteed maximum price contract with a sharing of cost underruns and overruns. At the close of discovery, the case settled favorably to the plaintiff after a motion was filed to amend the complaint to assert claims of fraud. Lead counsel for the defendants in Bethlehem Steel Corporation v. Davy International / Davy Songer, a Joint Venture, et al., (CA No. 1997-C-4256) and for the plaintiffs in the related coverage action of Kvaerner Metals Division of Kvaerner U.S. Inc.. et al. v. Commercial Union Insurance Company, et al., (CA No. 1998-C9531) both in the Court of Common Pleas of Northampton County, Pennsylvania. Mr. Dingess represented the turnkey design/build contractor in these cases which related to a coke battery rebuild project located in Burns Harbor, Indiana with a value of US $126 million plus DM 46.0 million. In the main action, the owner claimed that the battery was defective as constructed in that its projected useful life was alleged to be less than one half of that which was expected at the time of contracting. The case was designated complex under the local court rules. The coverage action was against the All Risk, professional indemnity and CGL carriers. Mr. Dingess, assisted by a team of attorneys, supervised all aspects of the defense, including the engagement of experts who performed an extensive finite element analysis (FEA) of the battery. Just prior to trial, the case was submitted to an extended mediation process before a highly respected and nationally recognized mediator. The mediation involved all interested parties, including the insurance carriers, and resulted in settlement favorable to the defendants. Counsel for plaintiffs in Ponderosa Fibres of Pennsylvania, Inc., et al. v. Parsons Main, Inc., (AAA Case No. 13-110-00694-97); Ponderosa Fibres of Pennsylvania, Inc. v. Parsons Main, Inc. et al., (Case No. 97-C-4861) in the Court of Common Pleas of Northampton County, Pennsylvania; counsel for defendants in Parsons Main, Inc, v. Ponderosa Fibres of America, Inc., et al., (CA No. 98-CV-10131 REK) in the USDC for the District of Massachusetts; and counsel for debtor in In re: Ponderosa Fibres of Pennsylvania Partnership, et al., (Case No. 98-21953T) in the USBC for the Eastern District of Pennsylvania. Mr. Dingess and a team of lawyers represented the owner of a 415 ADST mixed office waste chemical fiber deinking mill located in Northampton, Pennsylvania with a project value of approximately $190 million. The owner's claims in excess of $50 million were against Parsons Main, Inc., the project's EPC contractor, and its parent, The Parsons Corporation. The arbitration proceedings against the EPC contractor concluded after 30 hearing days. On the day the award was to be issued, the arbitration was settled. Our client received a settlement package valued at $61 million -- $41 million immediate cash payment and waiver of the unpaid contract balance of $20 million. Counsel for the plaintiff in The M. W. Kellogg Company v. Grupo Industrial, S.A. (CA No. 82-0446) in the USDC for the Western District of Pennsylvania and a related series of arbitrations before the International Chamber of Commerce, Court of Arbitration in Paris, France. Mr. Dingess and a team lawyers represented Kellogg as the joint developer of an industrial process that was sold throughout the world. The federal litigation against the co-developer was settled resulting in a cooperation agreement concerning projects located in Iran, Iraq, Indonesia, Venezuela, Zambia and Mexico. Claims against Kellogg exceeded US $500 million. After a period of approximately five years, all claims were resolved with a net positive cash flow to our client and a major new contract. Lead counsel for respondent in Curtis Green Construction, Inc. v. Trafalgar House Construction, Inc., (AAA Case No. 55-110-00147-97) in connection with the termination of co-venturer on concrete scope of work for public works project. 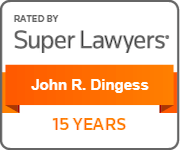 Mr. Dingess represented the terminating co-venturer of a joint venture in the defense of a wrongful termination claim. The claimant sought damages in excess of $8,000,000, including damages for breach of contract, lost profits, various federal and state tax liabilities and consequential damages. The respondent asserted a counterclaim of approximately $500,000. The arbitration panel included a former appellate court judge, a lawyer and an engineer. The hearings lasted approximately 20 days. By award dated May 25, 1999, the claimant received $128,000 on its claims and respondent received $228,000 on its counterclaim, resulting in a net Award in respondent's favor of $100,000. Thus, claimant received a take nothing net award on its multi-million dollar claim.